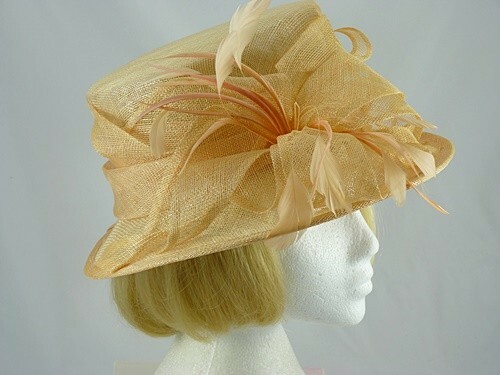 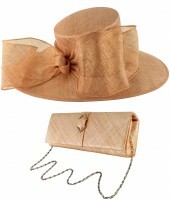 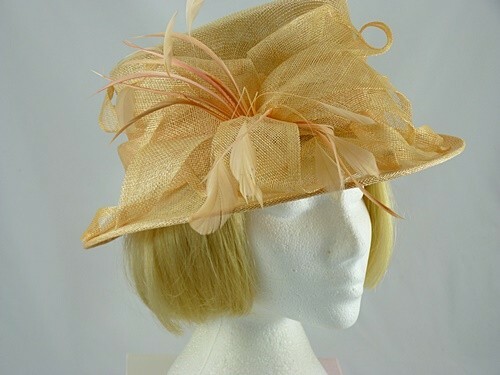 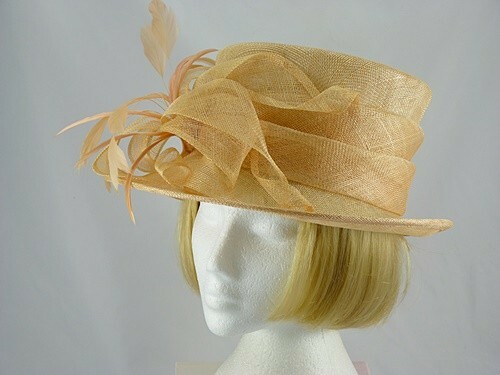 Occasion hat in apricot with a small brim, towards the front there are swirls leaves and two types of feathers. 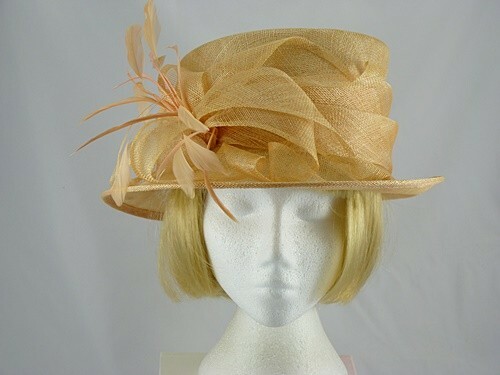 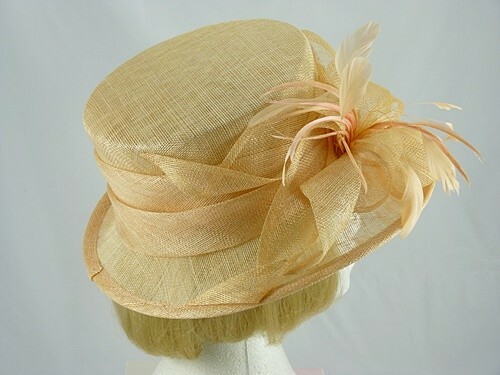 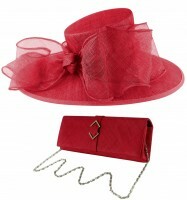 The long thin feathers are a more pale peachy colour which makes the hats very pretty and feminine. 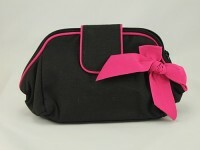 As new condition, but without tags.